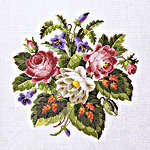 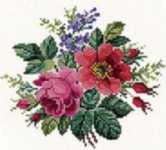 A lovely traditional floral picture with the flowers in shades of reds and pinks. 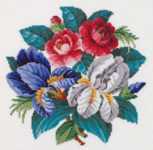 The large scale black and white charts are printed 10 stitches to one inch on two A3 sheets. 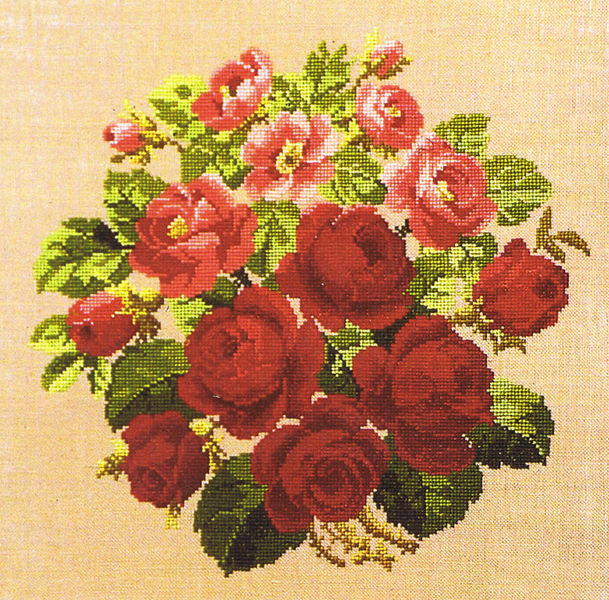 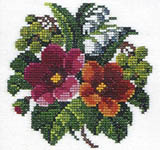 The pattern is worked completely in whole cross stitch using 25 shades of stranded cottons. 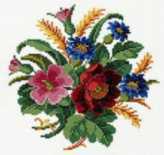 The stitch count is 160 by 160.